Alexandria was founded around a small pharaonic town c. 331 BC by Alexander the Great. It remained Egypt's capital for nearly a thousand years, until the Muslim conquest of Egypt in AD 641, when a new capital was founded at Fustat (Fustat was later absorbed into Cairo). 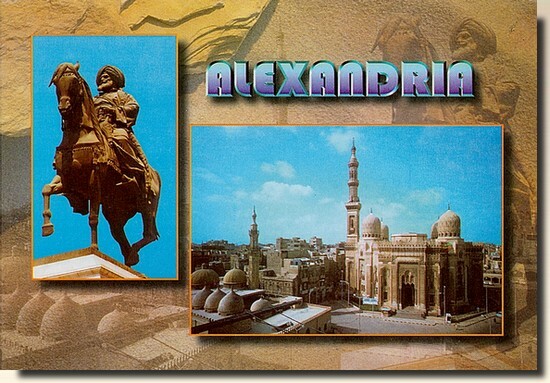 Alexandria was known because of its Lighthouse of Alexandria (Pharos), one of the Seven Wonders of the Ancient World; its library (the largest library in the ancient world); and the Catacombs of Kom el Shoqafa, one of the Seven Wonders of the Middle Ages. Ongoing maritime archaeology in the harbor of Alexandria, which began in 1994, is revealing details of Alexandria both before the arrival of Alexander, when a city named Rhacotis existed there, and during the Ptolemaic dynasty.